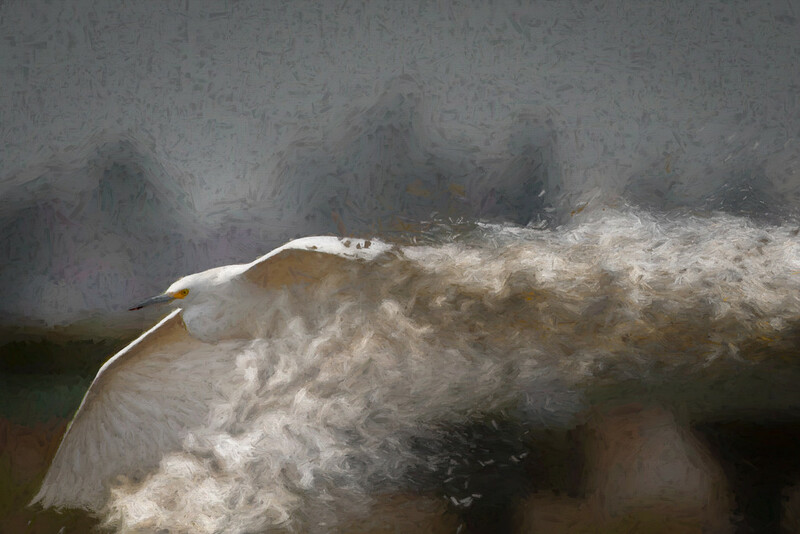 Snowy Egret as Fine Art. Your creativity is to be admired! My mouth is wide open ! Wow! What an awesome processing.